Archive by category "Enterprise IT"
We strongly feel that building Enterprise apps require prior expertise and It can’t be done by an Individual unless if there are any governance. 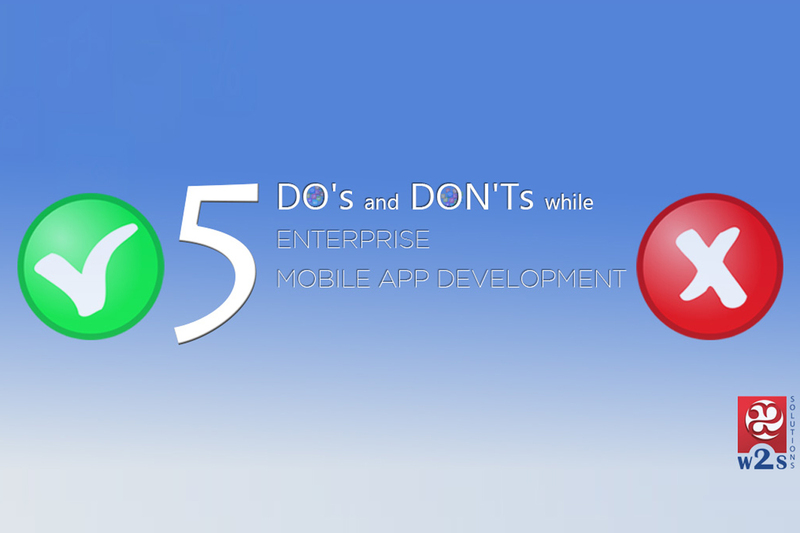 Here are set of Do’s and Don’ts while Enterprise Mobile App Development. Enterprise Apps are built for Specific Target Audience. It’s highly required to analyze who is the target audience; could be a supplier, vendor, customer, client or employees. It is better to identify the real problem and build an app for enterprise rather trying to build one and promote that we have an app. Once the Target Audience is identified, we shall classify the UX design. It can be highly rich or plain and simple based on the demographic of our target audience. That said UX experience plays an important role when building an app. The purpose of using an app should be that It interacts with other components and make the end user’s task simplified. So An app building team should identify the components they will be integrating when building an app. There are a few DO NOT items, which should not be included when coding an app. Security Ransom is its peak now and recommended to consider all possible security threats and build a solid and viable app. It is appropriate to sign in for HTTPS SSL certificates and encrypt all form submissions. We also need to include Salt and Key combinations to securely transfer data from mobile to the web. Enterprise app should look like a Business To Business App, but It engages with the customer like Business to Consumer app. Do you think any other features needs to be covered when designing an enterprise app? Feel free to comment below. 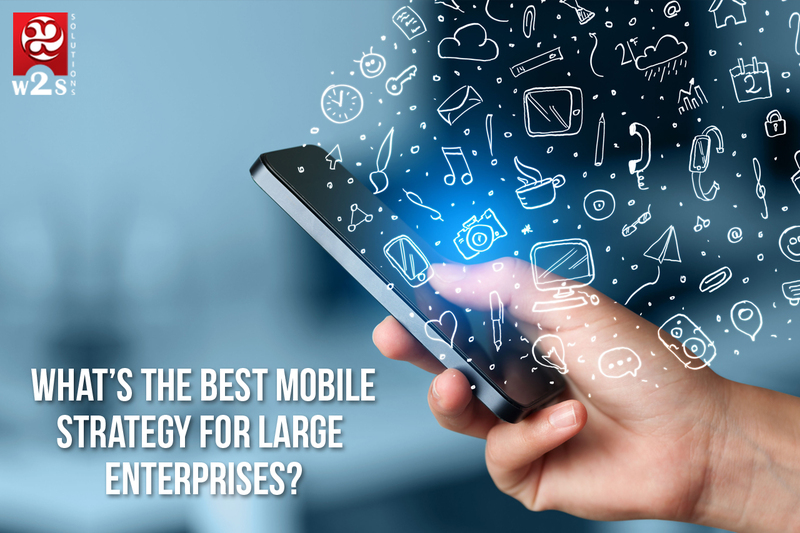 What’s the best Mobile Strategy for large Enterprises ? What is Enterprise Mobile Strategy? The change in technology over the last several years has necessitated the growth of mobile device use the world over. How people are conducting their lives has also changed. Today, just about everyone has a computing device that is always available and connected so that they can communicate with friends or finish tasks easily, effectively and efficiently. Where business is concerned, customers have an expectation that they can access the services and products that they need wherever they may be using apps or on the web through a mobile device or a computer. Transacting and interacting is at their fingertips. Why Do You Need It For Enterprise? If you have a workforce that is mobile, an enterprise mobile strategy will give them more flexibility and the ability to share information easily. This in turn will lead to an increase in productivity. While thinking about this, you will find that challenges exist. The main question being how one can be able to connect more data, apps and devices to enable more productivity while at the same time managing costs and security. This calls for better enterprise mobility management in order to know where all the information collected will sit, how and who will access it as well as the mechanism for its delivery. To Augment Employee Productivity – With a good strategy in place, you will empower your employees to become even more productive. With the main office applications available on everyone’s phone, each employee will be able to carry out functions that are critical to the business at a place and time that is convenient for them. Additionally, they will be able to do so securely. A good example of this is data collection in the field. This can easily be fed directly to the system via a mobile device. Emails can be responded to while in transit and so on and so forth. This leads to an increase in employee engagement and productivity overall. Device sharing and accuracy of data – Nothing is more frustrating than needed critical information out in the field and not being able to access it. With a good enterprise mobile strategy, your employees can access any relevant data needed wherever they may be. This ensures that they always convey accurate data because it is always on hand. Additionally, they will be able to share the device screen with others, which can quickly enhance knowledge transfer or even the experience of a customer. Cost reduction and process efficiency – Considering that most people own smartphones, you can be sure that your employees will work efficiently with the device from the very first day. In order to save money, employees may also be able to use their own phones to log into the system or to use the app and get busy working. This saves money because you do not have to purchase a phone for your entire workforce. How W2S Can Help You Become Your Own Strategist? Quick Turnaround – When dealing with people who know what they are doing, you can be sure that the turnaround will be quick. Cost Effectiveness – You only pay based on the project at hand as opposed to paying a salary and benefits to a full time in-house developer. 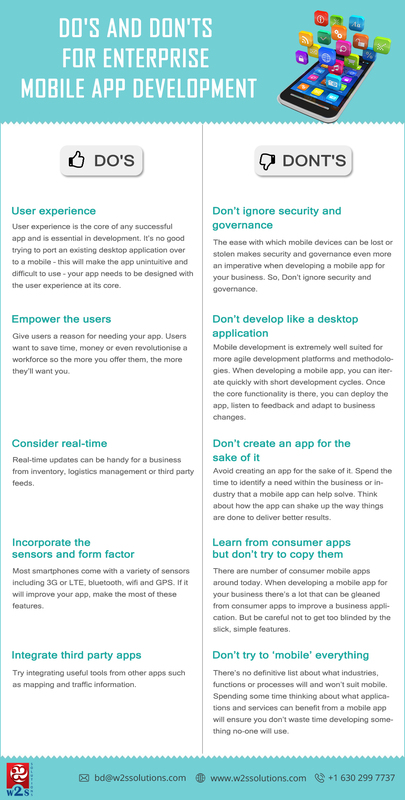 Should you decide that you need an app as part of your enterprise mobile strategy, getting the experts to create one for you is definitely the way to go. You will have control over its development, you will be able to keep tabs on the progress made, and use the resources within W2S to get the results you have been dreaming of.